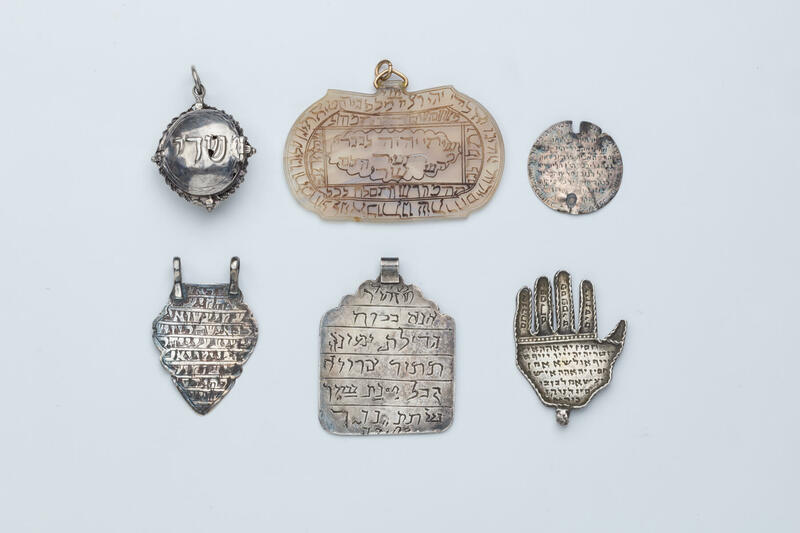 A GROUP OF SIX AMULETS. Middle Eastern, c. 1900. Various shapes and sizes.